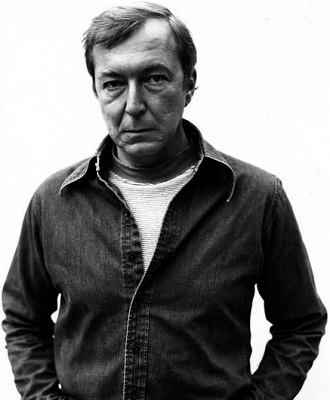 Jasper Johns - paintings,biography,and quotes of Jasper Johns. Together with Rauschenberg and several Abstract Expressionist painters of the previous generation, Jackson Pollock, Willem de Kooning, and Barnett Newman, Johns is one of most significant and influential American painters of the twentieth century. He also ranks with Dürer, Rembrandt, Francisco Goya, Edvard Munch, and Picasso as one of the greatest printmakers of any era. In addition, he makes many drawings - unique works on paper, usually based on a painting he has previously painted - and he has created an unusual body of sculptural objects. Johns' early mature work, of the mid- to late 1950s, invented a new style that helped to engender a number of subsequent art movements, among them Pop, Minimal, and Conceptual art. The new style has usually been understood to be coolly antithetical to the expressionistic gestural abstraction of the previous generation. This is partly because, while Johns' painting extended the allover compositional techniques of Abstract Expressionism, his use of these techniques stresses conscious control rather than spontaneity. Johns' early style is perfectly exemplified by the lush reticence of the large monochrome White Flag of 1955. This painting was preceded by a red, white, and blue version, Flag (1954-55; Museum of Modern Art, New York), and followed by numerous drawings and prints of flags in various mediums, including the elegant oil on paper Flag. In 1958, Johns painted Three Flags (Whitney Museum of Art, New York), in which three canvases are superimposed on one another in what appears to be reverse perspective, projecting toward the viewer. It has been suggested that the American flag in Johns' work is an autobiographical reference, because a military hero after whom he was named, Sergeant William Jasper, raised the flag in a brave action during the Revolutionary War. Because a flag is a flat object, it may signify flatness or the relative lack of depth in much modernist painting. The flag may of course function as an emblem of the United States and may in turn connote American art, Senator Joseph McCarthy, or the Vietnam War, depending on the date of Johns' use of the image, the date of the viewer's experience of it, or the nationality of the viewer. Or the flag may connote none of these things. Used in Johns' recent work, for example, The Seasons (Summer), an intaglio print of 1987, it seems inescapably to refer to his own art. In other words, the meaning of the flag in Johns' art suggests the extent to which the "meaning" of this subject matter may be fluid and open to continual reinterpretation. As Johns became well known - and perhaps as he realized his audience could be relied upon to study his new work - his subjects with a demonstrable prior existence expanded. In addition to popular icons, Johns chose images that he identified in interviews as things he had seen - for example, a pattern of flagstones he glimpsed on a wall while driving. Still later, the "things the mind already knows" became details from famous works of art, such as the Isenheim Altarpiece by Matthias Grünewald (1475/80 - 1528), which Johns began to trace onto his work in 1981. Throughout his career, Johns has included in most of his art certain marks and shapes that clearly display their derivation from factual, unimagined things in the world, including handprints and footprints, casts of parts of the body, or stamps made from objects found in his studio, such as the rim of a tin can.